They can eat up our time, cost us money, even kill our relationships. But it's not all bad! 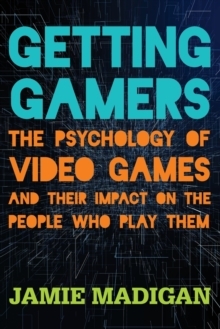 This book will show that rather than being a waste of time, video games can help us develop skills, make friends, succeed at work, form good habits, and be happy. Taking the time to learn what's happening in our heads as we play and shop allows us to approach games and gaming communities on our own terms and get more out of them. With sales in the tens of billions of dollars each year, just about everybody is playing some kind of video game whether it's on a console, a computer, a web browser, or a phone. Much of the medium's success is built on careful (though sometimes unwitting) adherence to basic principles of psychology. This is something that's becoming even more important as games become more social, interactive, and sophisticated. 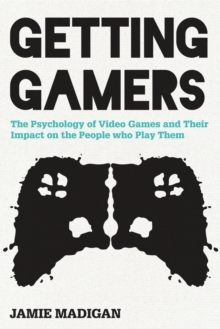 This book offers something unique to the millions of people who play or design games: how to use an understanding of psychology to be a better part of their gaming communities, to avoid being manipulated when they shop and play, and to get the most enjoyment out of playing games. With examples from the games themselves, Jamie Madigan offers a fuller understanding of the impact of games on our psychology and the influence of psychology on our games.